Swimmers pee in the pool. Accept it, and act accordingly. You are here: Home / Blog / Swimmers pee in the pool. Accept it, and act accordingly. Not only is peeing in the pool disgusting, it results in harmful disinfectant byproducts (DBPs) being off-gassed from the water. Examples of these DBPs are chloramines (specifically the airborne NCl3, Nitrogen Trichloride), chloroform, cyanogen chloride and other trihalomethane gasses. 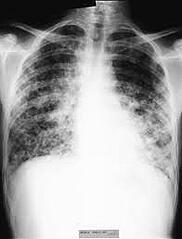 They are harmful and cause swimmers like me to develop asthma and lifeguard lung. Ironically, we and our urine are the root cause of the harmful air we breathe. One would think that would be enough to stop swimmers pee from entering the pool. But here's a harsh reality: swimmers pee in the pool, and they will continue to pee in the pool. We in the aquatics industry must accept it, and act accordingly. No more pointing fingers and talking down to swimmers like "if you would just (insert demand about not peeing here), everything would be fine." It falls upon deaf ears. As a swimmer, I suggest we all grasp reality, and not rely on hope for an ideal future that won't happen. My stance puts me at odds with "the experts" at USA Swimming, the CDC, and other leading organizations that have professional opinions on the matter. That's okay. I'm not here to agree with the experts, I'm here to tell you the truth, even though it's unpopular. For what it's worth, I agree with them--we should not pee in the pool. I'm just saying that's unrealistic. Those who know me will tell you I am a firm believer that facts don't care about our feelings. Because they don't. So let's not dance around the issue and sugar coat the problem. I'm fortunate enough to know the science behind it all, and the health consequences of swimmers pee mixing into pool water. But guess what, most swimmers either don't know, don't care, or both. The disconnect is one of swimming culture, and where our priorities are. It's a hard practice. You've finished your 1200-yard warm up, and you're hanging on the wall with your teammates, waiting for your coach to give the first set. Staying hydrated is critical in sports, and especially in swimming. We lose a tremendous amount of sweat while swimming, even though we don't notice. It's very easy to get dehydrated, fast. Drink up. The first set is 12x100 IM's, mixing in drills and kick. It takes about 20 minutes to complete, and now you have to pee. Given the extra pressure of your bladder being underwater, time's a factor, because the main set is about to begin. You can either run to the bathroom to pee and miss the explanation of the set (not to mention, it's freezing in the bathroom when you're soaking wet), or stick around. Most of us stick around. And it's not like we are about to be "that teammate" who jumps out in the middle of a workout, and loses their heart rate that everyone else is training through. That's cheating. That's like leaving on the :07 (Swimmers know what I'm talking about. Those who leave on the :07 deserve nobody's respect. Way down there with Save-up Sally and Warm-up Sprinter). This is why we pee in the pool. It's the big meet. You've warmed up, you're staying hydrated, and go to the locker room to cram into your racing suit. This often proves as difficult as trying to squeeze into shoes that are three sizes too small. Once it's on, it's on. Girls even need help getting the suit over the shoulders; admittedly, a problem guys do not face. We men have less excuse for peeing in the pool than girls do because of this. Again, you're extra hydrated. The warmup pool is packed with people, and this is the best meet. The last thing you want to do is get cold by going to the bathroom, soaking wet, to pee. Gross? Yes. Reality? Yes. It's easy for adults to point fingers and tell swimmers how to behave, but it's impossible to enforce. Usually, swimmers pee cannot be seen (since we are so hydrated). And besides, chlorine disinfects urine, right? Well...kind of. Urine is actually sterile, so there's nothing to disinfect. But it is still organic waste, which chlorine will try to oxidize. The problem is, urine takes a lot of chlorine to eliminate. And when chlorine demand is already stressed with all the other people in the water, it's most likely not going to do the job completely. 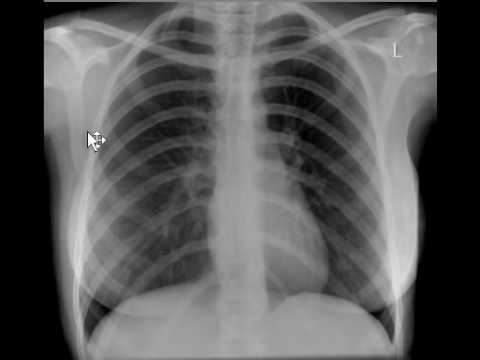 Incomplete oxidation yields DBPs that we breathe. No bueno. As aquatics professionals, this problem can (and should) be addressed by us, without changing swimmer culture. Sure, the less swimmers pee in the pool, the better...but accept that many of them will. The key is addressing urine as organic waste, and treating it directly--not with more chemicals, but with natural chemicals. That's where enzymes come into play. Enzymes target non-living organics directly, and break them down quickly. They take a very complex molecule, such as uric acid (C5H4N4O3), and break it down into CO2 and H2O. This way, chlorine doesn't need to burn it up, and leave behind harmful DBPs like chloramines. Enzymes can clear urine as fast, if not faster than chlorine can oxidize it. 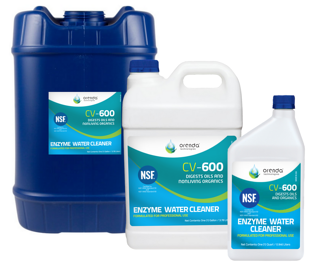 Orenda CV-600 is a natural chemical that meets drinking water standards (certified to NSF/ANSI Standard 60). When added to the water, enzymes serve as the first line of attack against urine. It makes a tremendous impact on water quality and clarity, and also helps with air quality. To finish the job for indoor pools, the Paddock Evacuator is a must. Dear aquatics industry: I challenge us to change how we treat water. Coming from a swimming background, I can tell you that enzymes will be well embraced by our community. Enzyme-treated water feels better, tastes better, and doesn't dry out our skin as much. Enzymes are a huge advancement in water science, and it is something you can easily (and affordably) take advantage of. Swimmers won't stop peeing in the pool, but enzymes can handle it.